Writing a thesis statement is not so easy. One needs to build his/her opinion or judgment in the introduction paragraph. Hence the treatment, whether it comes from their personal experience or reading, should be persuasive to pull the crowd. Of course, following a few tips will help you in this. For example, although Thesis Statements need not be universally accepted, you cannot simply present plain statements. They should be supported with some facts and figures.Also, you cannot simply strikethrough the importance of a template. Because it’s not the stuff but how it’s packed that gets noticed first. Below is a list of Thesis templates rolled out for your purpose. You can also see Statement Templates. 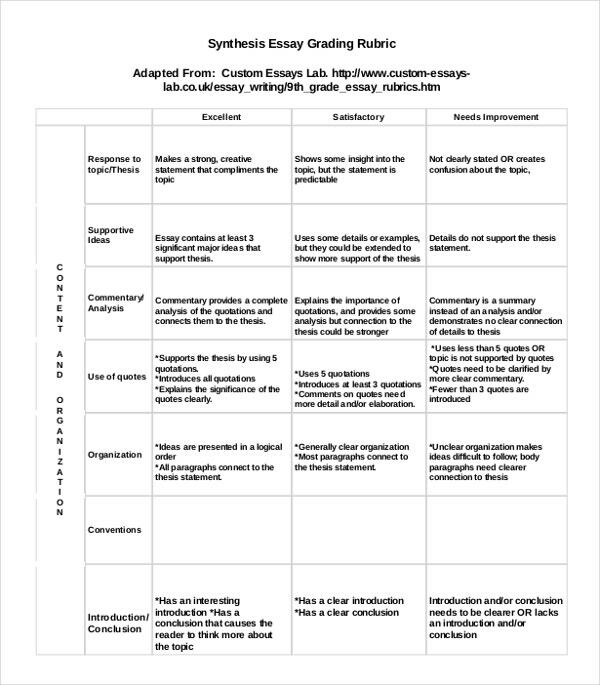 If your thesis is contradictory or compromising, you can convince readers with your Argumentative Thesis Statement. 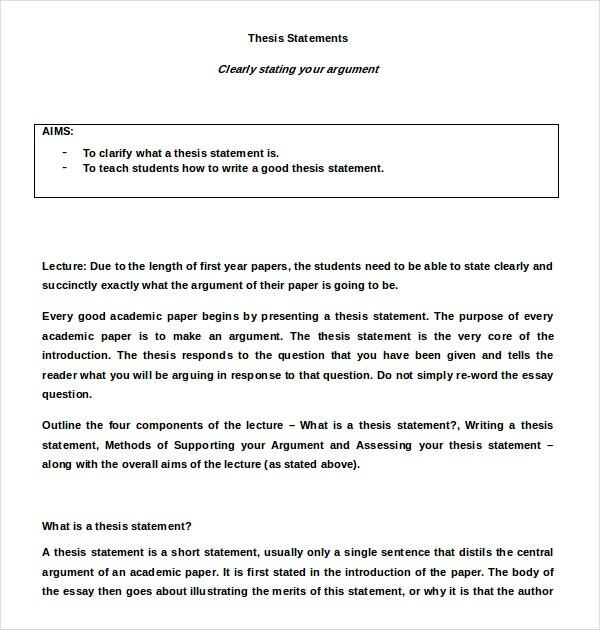 The Argumentative Thesis Statement template helps you in that. Win the claim without much hassle. Analytical Thesis Statements need much analysis on the subject matter. They reflect your research and your development skills. 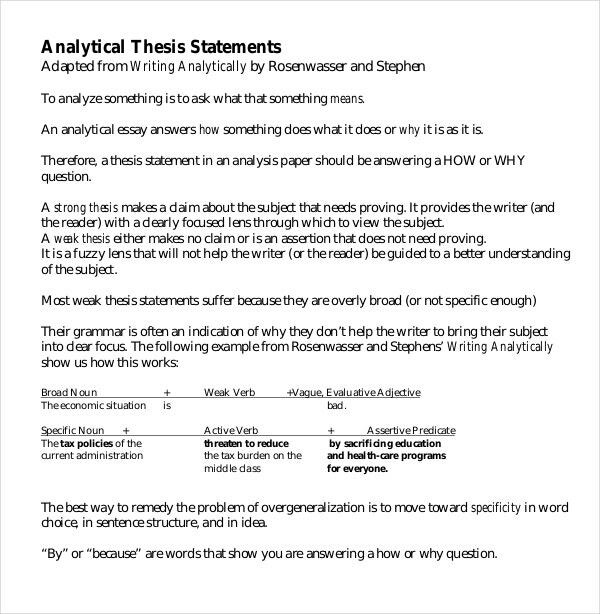 These analytical thesis statement templates provide an eye for detail. Grab them now. Literary Thesis Statements are more than one sentence long. Take a look at Mark Twain’s works. These templates help you with the claim you are making with the text. A two-minute movie trailer ignites the interest in us to go to the theater and watch the film. Such is the power of its exposition. 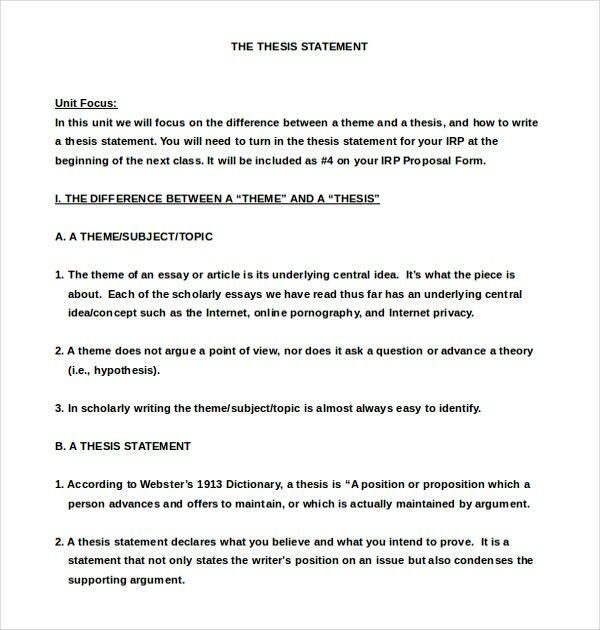 These Expository Thesis Statement Templates are an exposition of the evidence provided. Are you about to generate major propositions from your thesis statement? Then these Proposition Thesis Statement Templates are direct cousins of your informative and/or persuasive thesis statements and help you greatly at work. The word synthesis suggests the process of combining ideas and information to create a nascent one. A Synthesis Essay takes a unique style of writing. 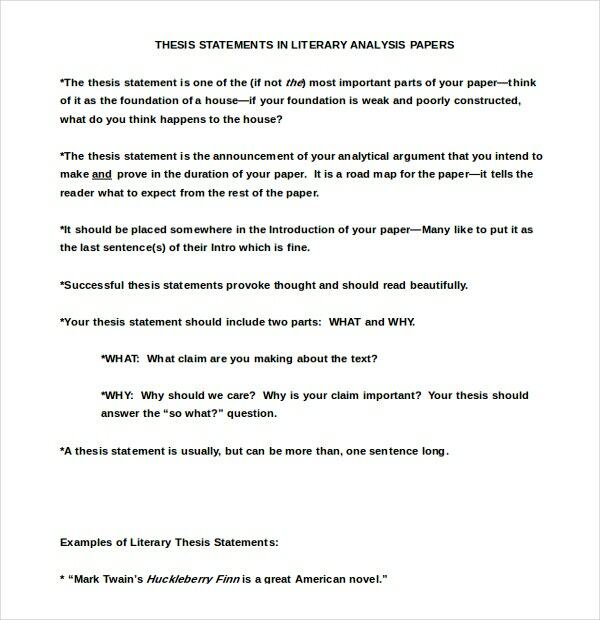 These Synthesis Essay Thesis Statement Templates help you write surprisingly good synthesis statements. > Why are Thesis Statements Important? Writers prepare Thesis Statements once they complete writing the entire Thesis. But they are the ones that accelerate the reader engagement process. This is where you establish the relationship with your readers. 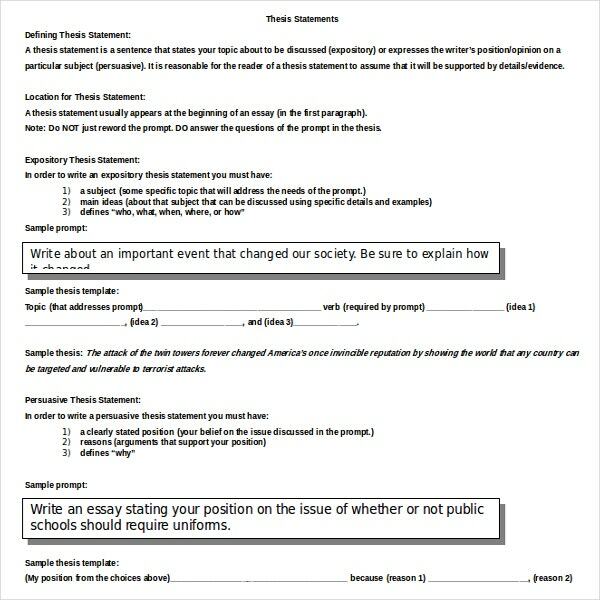 Though the expertise comes with writing more and more thesis statements, you can take the Thesis Statement Templates in this section instantly when writing under stringent timeframes and when you have the pressure of time constraints. You can also see Income Statement Templates. > How to Write a Thesis Statement? We are not expected to prepare thesis statement templates on our own every time we make it. At the same time, you cannot go with whatever template that is readily available. If your model doesn’t allow you to write your variation then it’s just not for you. You have to move it to the bin. How uncomfortable is it to wear a shirt that doesn’t suit you well? Same is the case with the templates. But here, fortunately, we want to drive home the idea that we will be helping you with ideal thesis statement templates which can be used and reused multiple times. These templates are the ones you will be comfortable with. All of them are for use in responding to your thesis statement requirements.